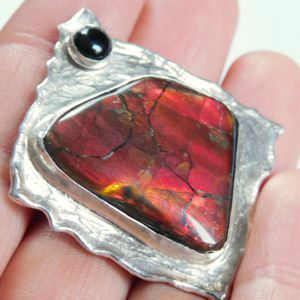 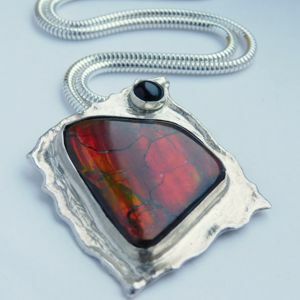 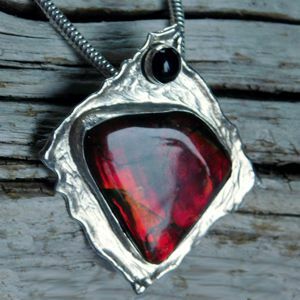 Inspired by the fiery red Ammolite gem, I created this pendant with a unique silver texture on the back side. 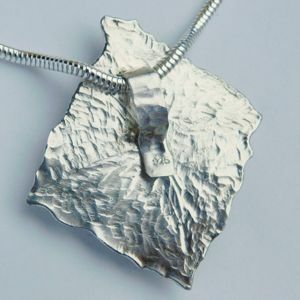 The Sterling Silver chain is 50 cm long and 2.5 mm thick. 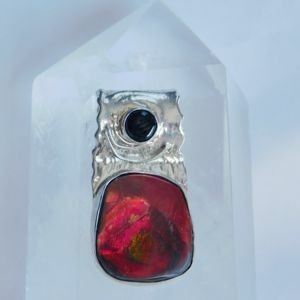 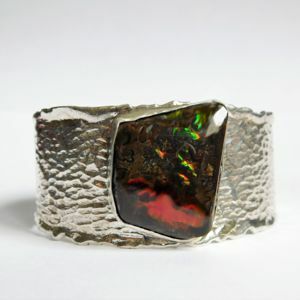 The Ammolite gem measures 27 x 24 mm and the round Onyx is 5 mm. 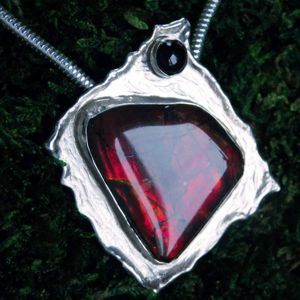 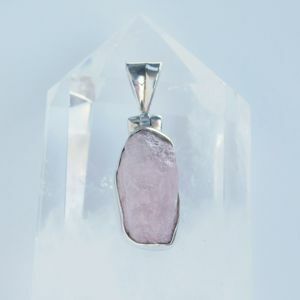 I fused the edges of my silver creation to give the gem a unique outstanding platform.